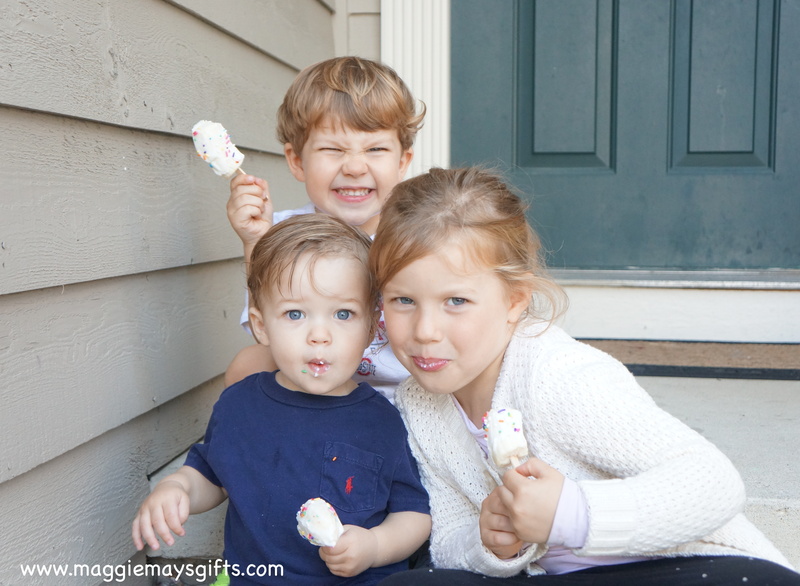 As much as I was loving my parenting with popsicles, I realized I really should have a better plan. And by plan, I mean adding trickery to the bribery. In our latest issue of the Kroger magazine, they had these cute banana ghosts. They were banana halves on a stick, dipped in yogurt and had chocolate chip eyes (so, if you need an idea for Halloween, there you go). I thought those would be a perfect replacement for my popsicles, especially with a few adjustments. I wanted my treats to appear to be really fun and sugary, while actually being healthy. 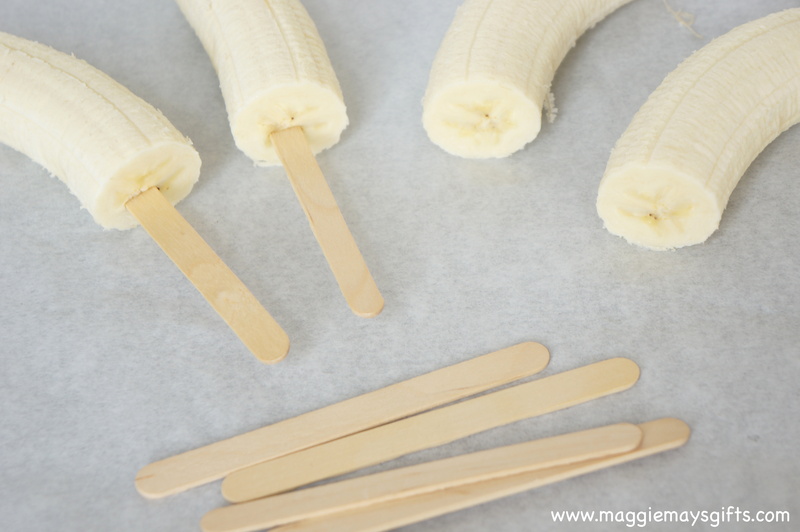 Cut your bananas in half and push a popsicle stick into them. 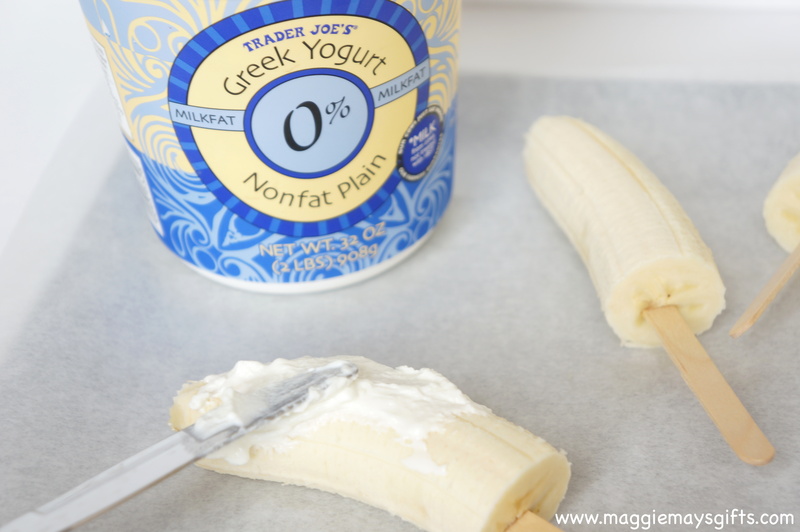 Spread Greek yogurt onto the bananas. Make sure you do enough that it looks like icing! Then sprinkle just enough colored, candy sprinkles onto the yogurt to make it look like a lot of fun. Place on a cookie sheet covered with parchment paper and freeze. Finally, give them a really great name. Let them sit for a just a minute before serving (they thaw quickly) and enjoy. There’s nothing better than giving your kids what they want while also giving them what you want. Even the little guy thinks they are something special…. 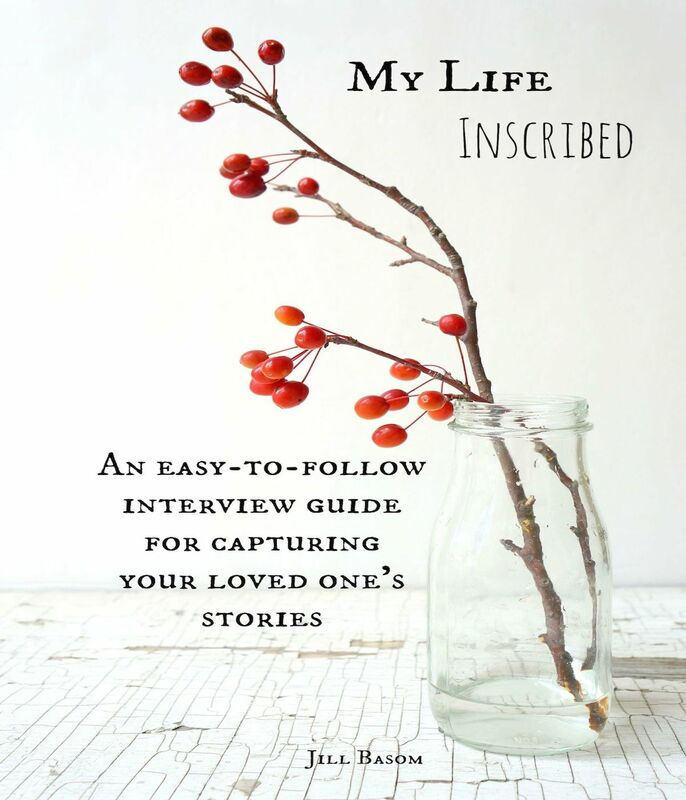 For a new, DIY idea to come right to you each week, Follow this blog now. Follow button is in the right sidebar. Don’t worry, your email address will never be shared with anyone. 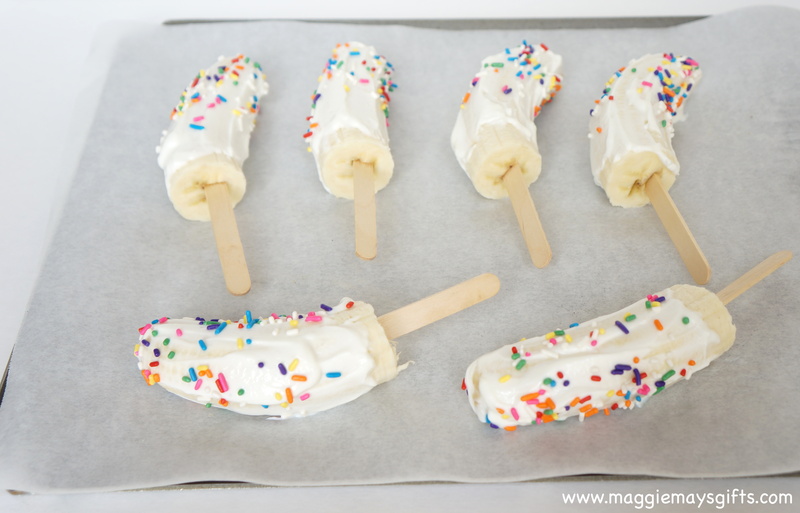 This entry was posted in Good Eats, Kid's DIY ideas, Parenting Resources and tagged bananas, DIY, greek yogurt, halloween, healthy recipe, kids, kids treats, nutrition. Bookmark the permalink. You’re welcome! I hope he loves them! These are so awesome! I am very guilty of bribing my children with sugary treats, so this is the perfect solution. Thank you! Those are awesome!! I should definitely check them out! 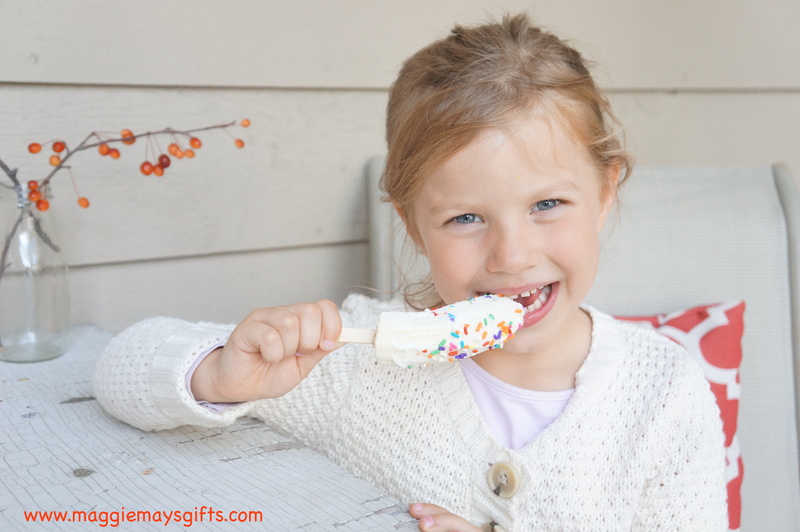 Super easy and a healthy treat! Yes, the easy part is an added bonus! How adorable! 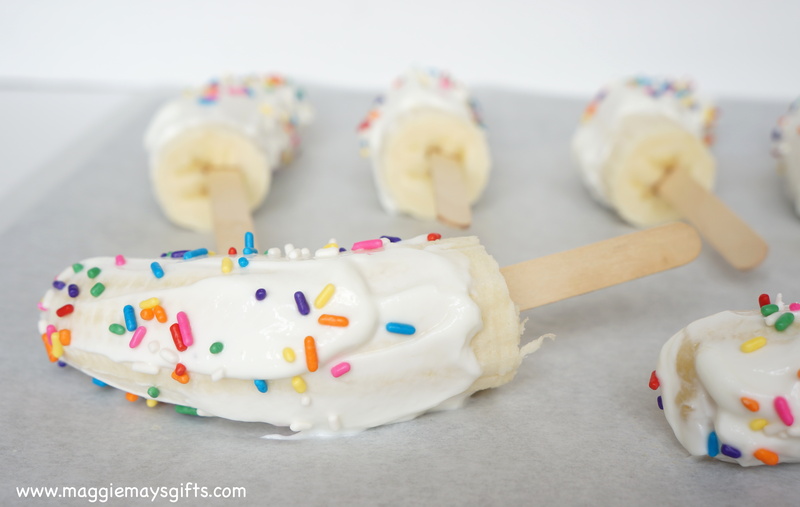 My daughter loves bananas and can’t have anything with food dye dmso these treats will be perfect for her! The sprinkles might have food dye, but not sure. So many things do now, as I’m sure you know!